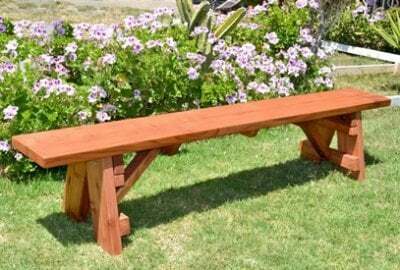 Forever Redwood has a large collection of beautiful benches built with 100% California Redwood. 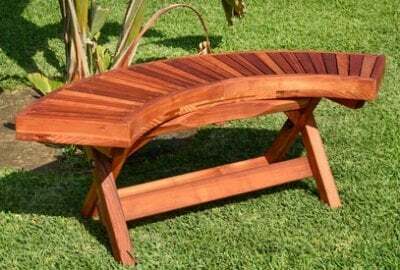 If you've been looking for lovely wood garden furniture built to really last, you have finally found it! 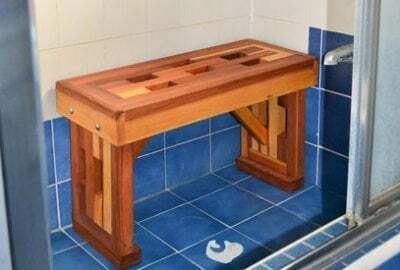 Please take a look at the dozens of thick-timber designs below. If you do not find what you need, let us know and we will make it for you. Call 866 332 2403. Let us show you how easy it is to build your bench just the way you want! A customer favorite. 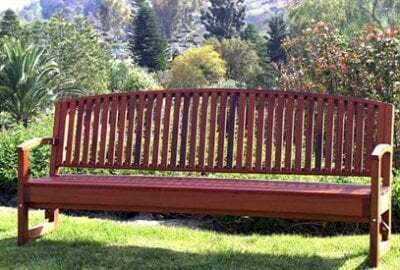 This durable, beautifully contoured bench is perfect for public parks and families who want a bench to last generations. 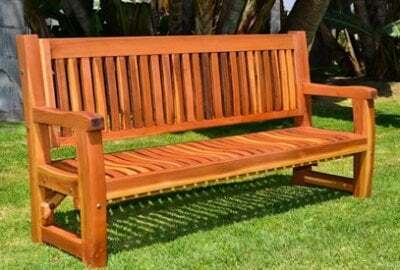 Add warmth and some old-fashioned wooden charm to your yard with a traditional Hennell Bench. 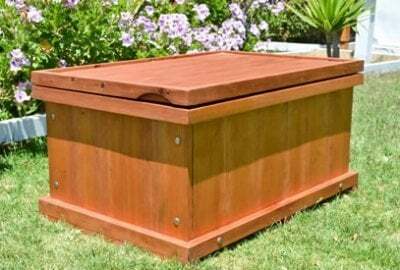 A convenient way to add storage space, the Laurel Storage Bench stores toys, pool accessories or just about anything you want to get out of the weather. 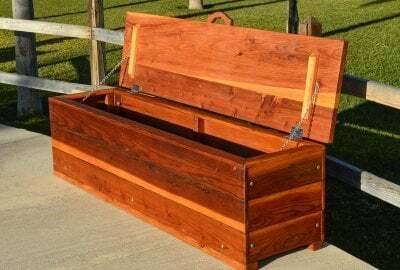 A convenient way to add storage space, the Holbrook Storage Bench stores toys, pool accessories or just about anything you want to get out of the weather. 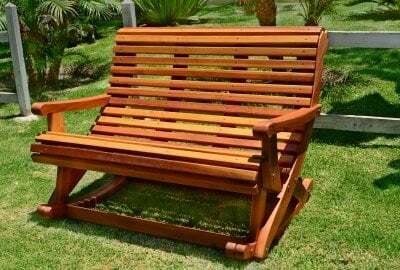 What could be better than an Adirondack Chair? 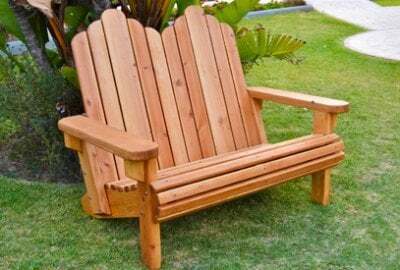 An Adirondack Loveseat for two! 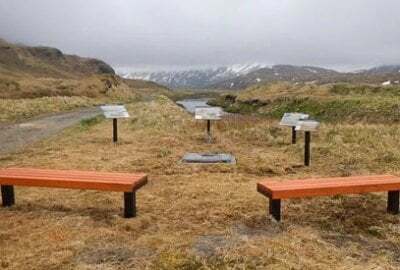 Designed and built by veterans groups going back to WWI, this bench is a beautiful way to remember those who fought for our country. 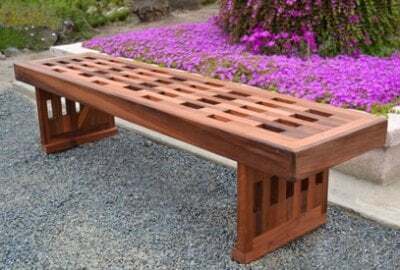 A traditional picnic bench is always welcomed for outdoor dining with friends and family. 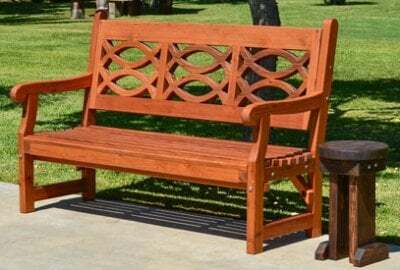 Our most popular park bench, the Luna Bench boasts a subtly contoured seat and arching armrests. She is as comfortable as she is beautiful. 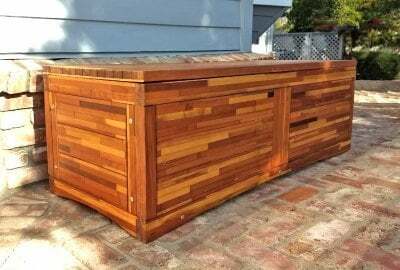 A convenient way to add storage space, the Traditional Storage Bench stores toys, pool accessories or just about anything you want to get out of the weather. 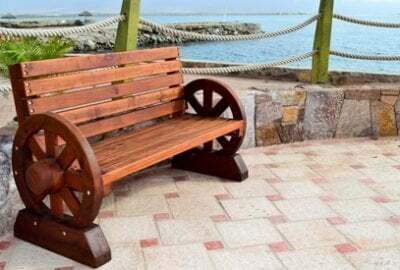 Add warmth and some old-fashioned charm to your yard with the Wagon Wheel Bench. 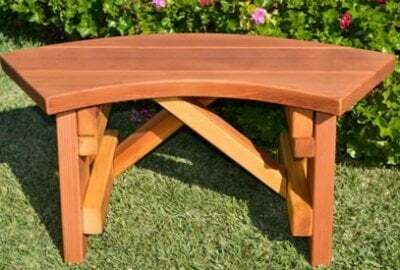 Our round folding table/bench product line is perfect for family gatherings and parties. Entertain in style without sacrificing deck or kitchen space. 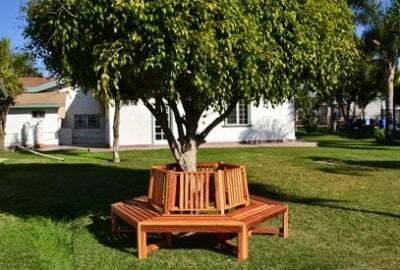 Our Memorial Tree Bench was designed as a natural place to relax and share with friends and family. 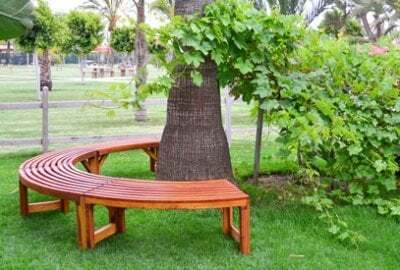 Enjoy the natural atmosphere of your outdoor space nestled under your favorite tree. 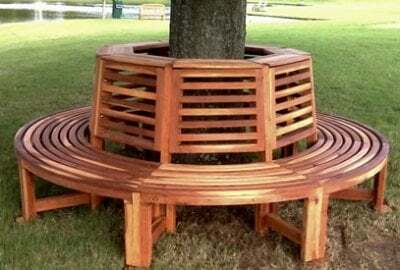 One of the best things about the Arc Picnic Benches is the versatility of what you can do with them. They’re easy to move, rugged and sturdy, and look great all at the same time! Rain? Heat? Winter? No problem. We offer a variety of options to customize for taste and size requirements.